With a string of #1 classics, including the most played song in radio history, You’ve Lost That Lovin’ Feelin’, the Rock and Roll Hall of Fame duo of Bill Medley and Bobby Hatfield topped the charts in four decades. 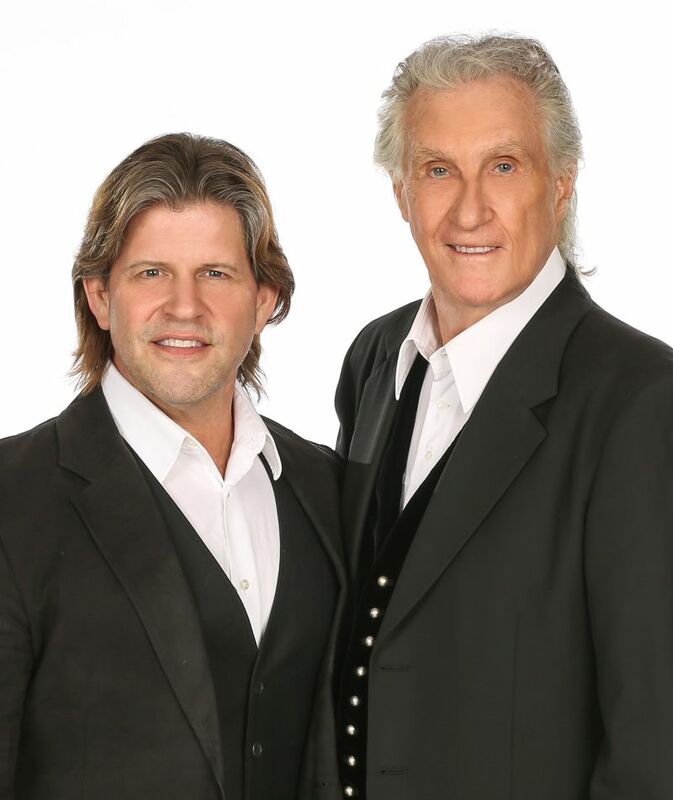 After Bobby’s death in 2003, Bill Medley continued to perform to sold-out crowds around the world, but fans and friends pleaded with him to keep The Righteous Brothers alive. Says Medley ... No one could ever take Bobby’ s place, but when I caught Bucky Heard’ s show it all came together – I found the right guy to help me recreate the magic. The concert experience features their biggest hits – Lovin’ Feelin’, Soul & Inspiration, Unchained Melody, Rock and Roll Heaven, Medley’s Grammy-winning Dirty Dancing theme The Time of My Life, and much, much more! The Bill Medley/Bucky Heard pairing came as something of a happy accident. Medley says it just seemed right ... I’d been friends with Bucky for years, but when I caught his show he just killed me! The next day it hit me – that’ s the guy, someone I could sing hard with, laugh hard with, love and respect – on and off stage. He fits The Righteous Brothers live performance show perfectly. And, we’ve even recorded some new material together, I’m really excited! Bill Medley is truly one of the iconic figures in American music history. His instantly recognizable baritone voice has anchored some of the biggest recordings of all time. He’s won a Grammy, an Oscar, a Golden Globe, and an American Music Award. The Orange County, CA native began writing songs as a boy and had his breakout as a songwriter and singer when, in 1963, the Medley-penned Little Latin Lupe Lu became a regional hit for Bill and Bobby Hatfield, as their first release as The Righteous Brothers. Other regional hits followed, Justine, Koko Joe, and My Babe, which led to a regular spot on ABC-TV’s national Shindig! broadcast. The show, featuring a cast of regulars, along with guest stars every week, catered to the teen audience, something new for TV at that time. Shindig’ s smash success coincided with The Righteous Brothers opening for both The Beatles and The Rolling Stones on their first US tours. Soon, The Righteous Brothers caught producer Phil Spector’s attention and he signed them to record what would become, according to BMI, the most played song in the history of American radio – the Barry Mann/Cynthia Weil classic, You’ve Lost That Lovin’ Feelin’. A string of top hits followed until 1968 when Medley and Hatfield agreed to part ways to pursue solo efforts. Medley soon scored with top ten hits, Peace, Brother, Peace and Brown-eyed Woman. In 1974, Bill and Bobby re-united and within a few weeks had yet another monster hit with Rock and Roll Heaven. Multi-talented, and always seeking to expand his musical horizons, he recently created, wrote, and produced an original children’s musical variety show called, Rock U Mentally, which headlined the American Bandstand Theatre for a two consecutive Summers! 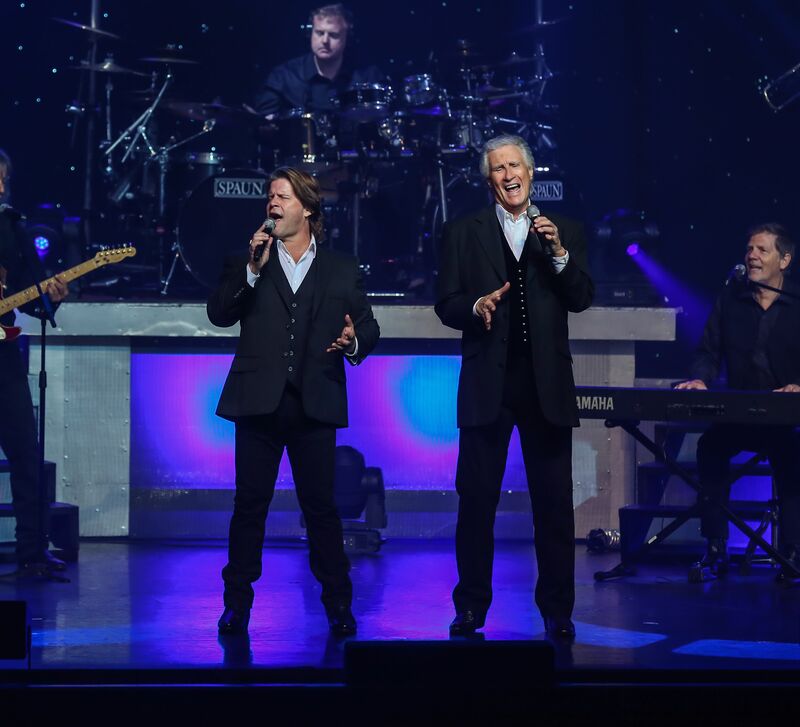 Performing with Bill Medley is like getting your PhD in show business! He is more than a legend; he puts everything into every performance, and really understands how to connect with an audience. He motivates me to be my best and I’m so grateful for this opportunity!